That's why no matter how much cardio you do, you can't seem to raise your metabolism and almost always hit a plateau. Don't get me wrong, cardio exercise is important for your heart health and does have its benefits, but how you DO the exercise is very important especially if you're trying to lose weight. Try instead a method called interval training. It involves short bursts of high intensity exercise alternating with low intensity active recovery periods. 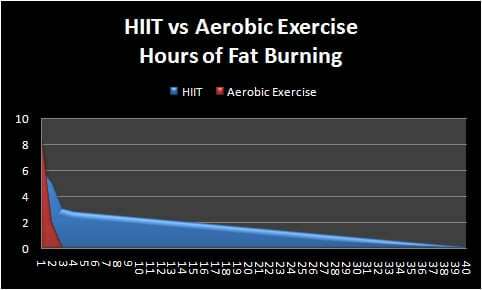 It is perhaps the most time-efficient way to exercise not only for weight loss but also for an extended after burn effect (hours of fat burning). Typically you'll only need to spend 10 - 30 minutes... who doesn't LOVE that idea? Depsite how short the workout is, it can produce health benefits similar to twice as long as your old steady state routine. The idea is to do an exercise as hard as you can for 20-60 seconds and then participate in some sort of active recovery like walking. A few examples of interval exercises are: using a steep incline on the treadmill, sprinting on a bike, or jogging in place. Burn more fat and calories while spending less time exercising. It's not a MYTH! Copyright (2019) Montgomery Physical Therapy & Sports Medicine. All rights reserved.